Have faith that the universe is designed to bring you what you desire. Focus on whatever you truly want and have faith that it will come. Do not take action unless inspired and have faith that the inspiration will come at the perfect moment. Have faith that the universe knows the smallest details of your desire and will bring it to you in a way that exceeds your wildest expectations. Have faith that your life experience to this point has unfolded perfectly to bring you to this moment in time. Had you not lived your life exactly as you did, you would not be here now. You would not have the set of beliefs necessary to come to this information. You would not have the wanting needed to attract this material. You would be a completely different person. But your life has caused such an expansion in your consciousness that you have become one of the few humans ever in existence to raise their vibration in such a way as to attract our message in this fashion. Have faith that you can move from this place where you now stand to the place you truly want to be. You are not trying to get away from a place you don’t like. Rather, you are moving to a new place that calls to you. Have faith that you’re on the right path. If you have not already found your passion in life, have faith that you will soon. If you have not found the mate of your dreams, have faith that you are attracting that person and you will be ready for his or her arrival. Have faith that you are loved and taken care of by countless nonphysical entities. You must not worry, for there is nothing to worry about. Have faith that you can always achieve and maintain perfect health. Listen to your body and strive to feel good. Pay attention to how you feel and have faith that you can and will feel better if that is what you truly want. Realize your body is a community of cells, each seeking alignment and well-being. Understand that well-being flows through you unless you think thoughts that hinder the flow. Allow yourself to relax and find ease in your life. Release the fear and doubt you’ve been carrying with you and return to the feeling of ease and well-being. Have faith that abundance exists all around you. Realize that you have an abundance of air to breathe, water to drink, and food to eat. You have an abundance of time, whether it seems that way or not. You have an abundance of love flowing to you from all around you. You have an abundance of people to interact with and things to capture your attention. You have an abundance of freedom. You must now realize that the abundance of money you seek is waiting for you as well. There are no limitations in this world except for those you place on your own experience. We want to bring you to an understanding of the nature of physical reality and the laws of the universe. If you do not quite believe all we have to say, have faith that the evidence of our assertions will present itself to you. If you can suspend your belief for a moment and allow for the possibility that you create your own reality, you will start to notice the evidence of that statement popping up in your own experience. As you see evidence of your own powers of creation, you will move from belief to knowing. Knowing is simply very strong belief. A fact is nothing more than a strong belief. When you think of the statement that you create your own reality as a fact, then you have come to a place of knowing. Belief has doubt laced within it. 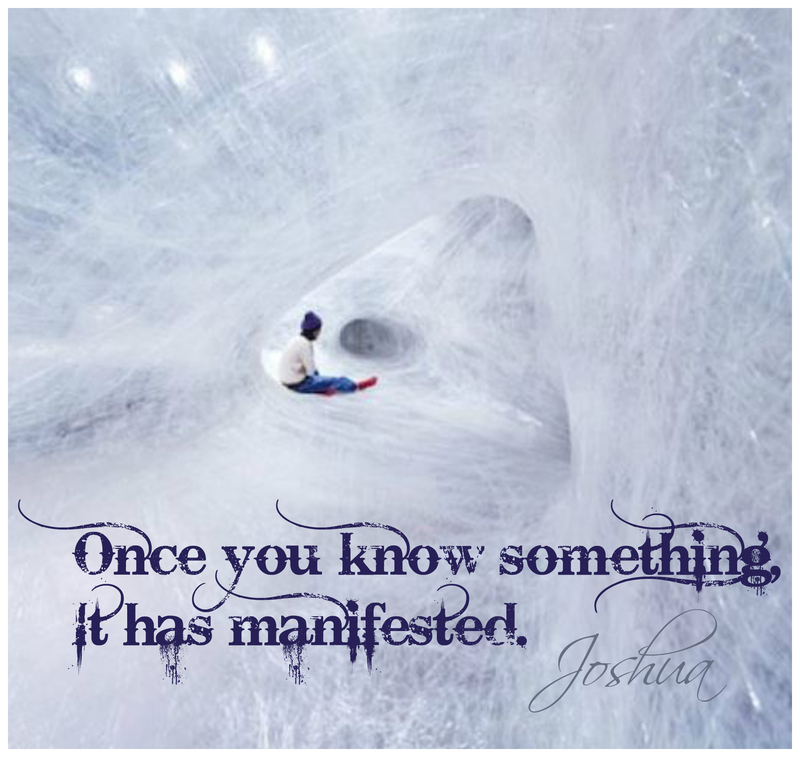 There is much less doubt contained in knowing. As doubt is removed, fact is created. Nothing in your life exists until you know it to exist. Gravity is a law of physical existence. You know that the ball will hit the ground when released and bounce back up. You know the ball has certain features and will react to your movements with consistency. You can depend on the ball to perform in a certain manner as long as it is properly filled with air. But the ball is no more real than the gravity by which it is controlled. It is all vibration, so it moves within the larger scope of the Law of Attraction. You know gravity as a fact, yet gravity is quite a simple law in comparison to the Law of Attraction. You can see the obvious evidence of gravity and therefore doubt does not exist. By this evidence, you can arrange your life. You can navigate your world knowing that gravity will always be a part of your life experience. The consistency of gravity seems unquestionable. The same is true of the Law of Attraction. There was a time when the mechanism of gravity was unknown to man, yet it always existed in physical reality. 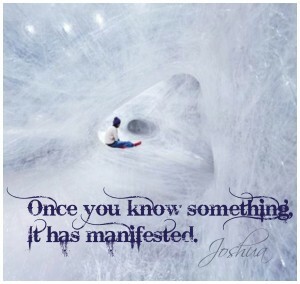 You are only now coming to understand the Law of Attraction, yet it too has always existed. One day, not long into the future, your society will understand the Law of Attraction as well as you currently understand gravity. If you could see the Law of Attraction as a fact now, you could work with it to create an improved life experience. If you could understand that all of the mechanisms of reality are facts as we have described them, you could see your world from an entirely new perspective. You are unique to all the world. There has never been anyone like you before and there will never be another like you. You are worthy beyond measure. No one who has ever lived has been more worthy of this existence than you. You attract whatever you predominantly feel and think about. You cannot push away anything. The power of your point of attraction is in the present moment. Life is not flowing in time; it is a series of many moments giving you the illusion of time. You can have, be, and do anything you want in this physical environment. Others have no ability to create in your experience. You are the center of your universe, and the universe is designed for your growth, expansion, and joy. If you can come to know these few simple statements as fact, your perspective will be altered and your reality will be enhanced.